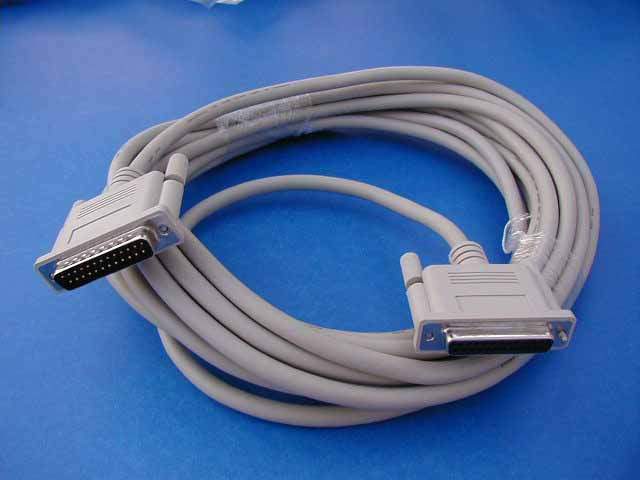 25' IEEE Cable DB-25 Male to DB-25 Female. Used mostly to attach IEEE switches to Computers. Can also be used to Extend IEEE Printer Cables. Also sometimes Used on SCANNERS to Printer Ports. Molded Ends with 25 Conductors. Has Been Rated by IEEE as a 1284 cable. This cable has extra shielding and is of extra high quality. IEEE-1284 Rating stamped on Side of cable.